Sunshine inverters are a very high grade and this product is supplied with heavy duty leads fitted with terminal rings for easy connectivity to your batteries. 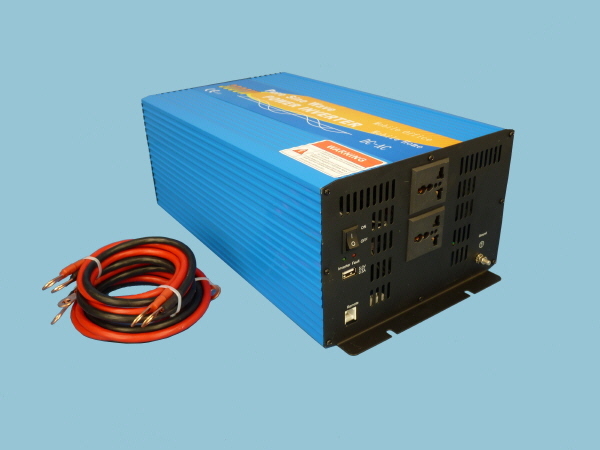 Sunshine power inverters have advantages of being compact, light weight, & low noise, once connected to a 24V battery bank, you get 110V AC directly from the power inverters UK output socket giving you a stable power supply for running your electrical appliances. Save Money... on the Wired Remote ON/OFF Switch, an easy way to reduce stand-by current when power inverters are fitted in hard to access area's, only £14.99 when purchased with this power inverter.